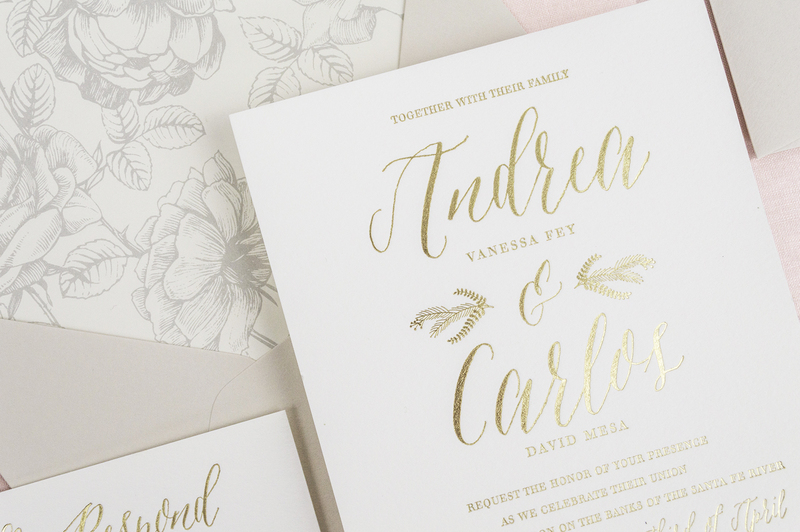 This beautiful invitation displays a fresh, botanical design with a bohemian feel. 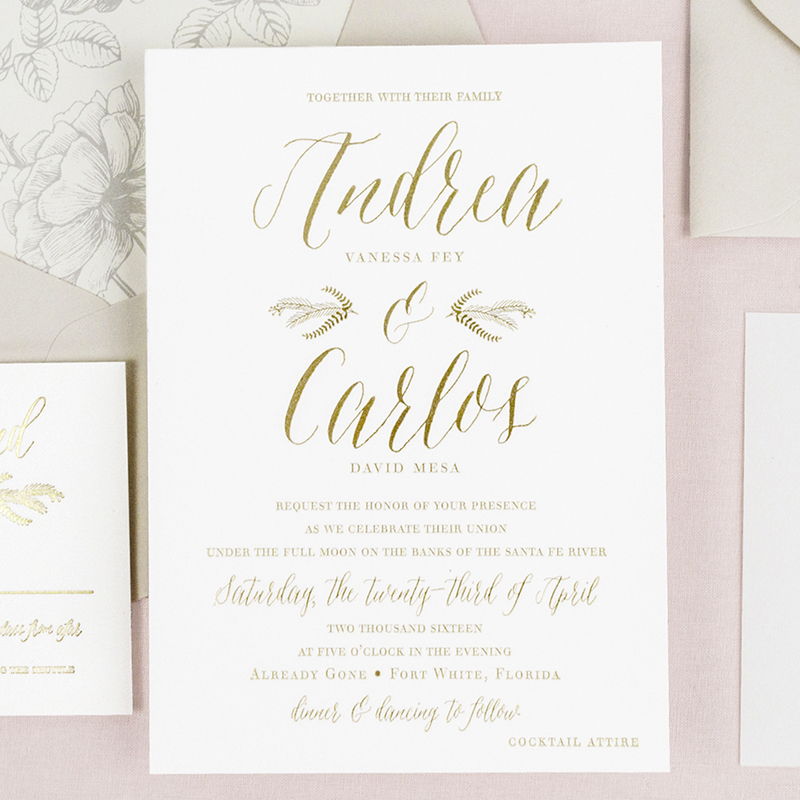 The handwritten-style font gives this suite a carefree look, making it the perfect invitation for backyard weddings. Make it yours! 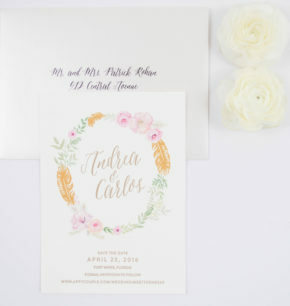 Scroll through the website and visit all the designs, customizations and accessories you can add to your invitation suite. Once you have gone through the site and want to request a print quote, fill out the form on Step5 (here). Let us know what print methods you like, what paper pieces you need, and what accessories you want to add on. Clicking the submit button doesn’t require a deposit or payment of any kind. This allows us to know what you are looking for, so we can email you a pricing breakdown of everything you are interested in. We want to talk with you! We would love to schedule a phone chat with you. 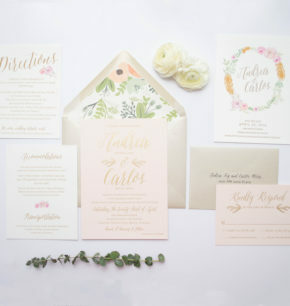 We want to hear all about your wedding, the over all style you are going for and what you are envisioning on your paper goods. 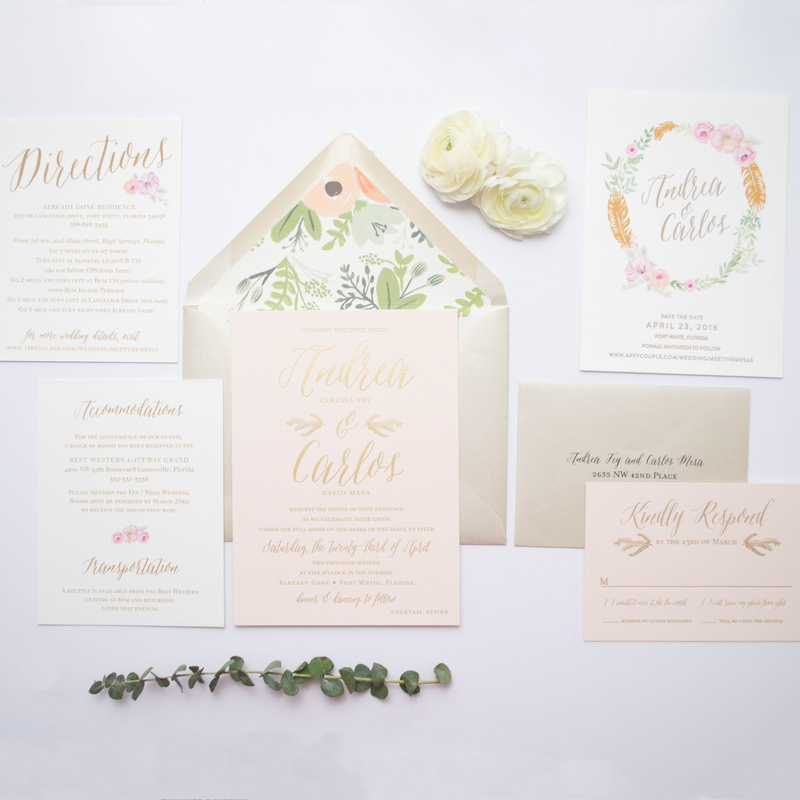 We will chat through print methods, the paper pieces you need, wording etiquette, talk about timelines – when to mail your invitations and any other questions you have. Once our phone chat is finished, we will resend you a detailed price quote based on everything we talked about. 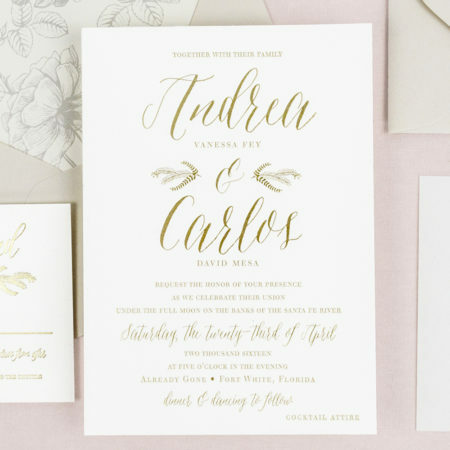 Once you are ready to start your designs, we will ask for your wording (don’t worry we can help if you aren’t sure how to properly word your invitations) and your customization preferences. We will then get started on your designs and send over your first proof within 2-3 business days straight to your inbox. We want these invitations to be exactly what you always dreamed they would be and we are happy to make as many revisions as you need. Typically this process takes about 2 weeks, certainly could go faster, it really just depends on the level of customizations you are looking for and how many revisions you have. Once everything is approved and ready to go to print! We will ask you to confirm your final details and sign off on the proof sheet. We will then send you your invoice for review & payment. As soon as your invoice is paid and your proof sheet is signed we will then put your invitations into production and we will do some virtual cheers & high fives. This is where your beautiful designs come to life! 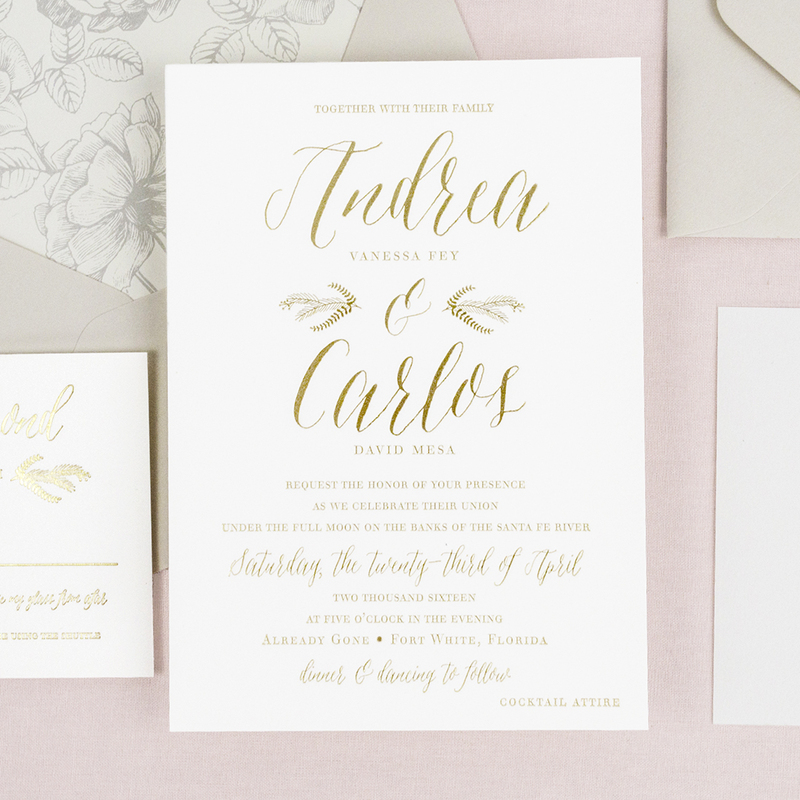 Each invitation is hand printed & inspected by our production team. Production time is typically 15 – 20 business days depending on the season. Orders with assembly will have a slightly longer turnaround time. 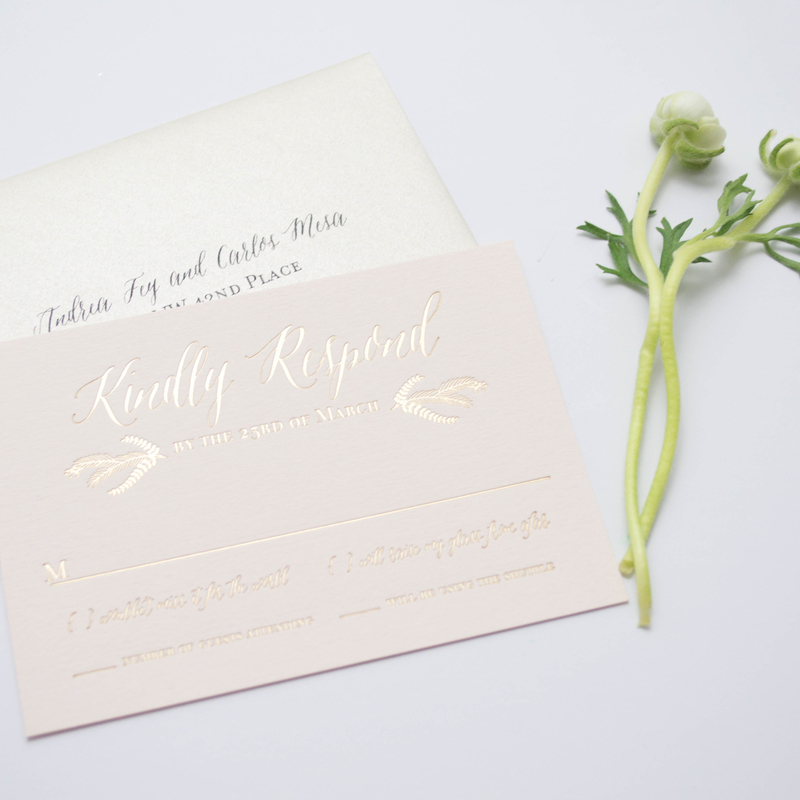 Once we are finished printing, we will lovingly package up your paper goods and prepare a shipping quote for you. You can then choose the transit time that works for you. All orders are shipped via UPS with tracking & signature confirmation. The best part of all, is receiving and holding these beauties in your hands and sending them out to all your friends & family. We can’t wait to hear what all your guests think! 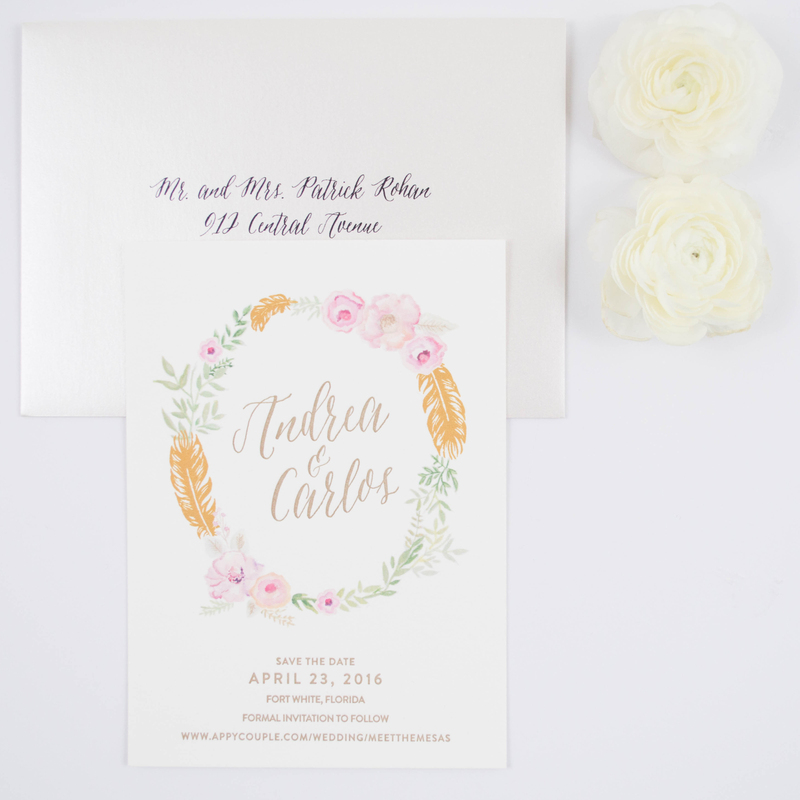 Alicia and Pat not only listened to our vision, but they helped us create the most beautiful wedding invitations that incorporated our wedding colors, themes and symbols. My invitations were amazing!! They do a beyond phenomenal job. I would highly recommend them and plan on using them again in the future! Everything they did was AMAZING!! Alicia was so great to work with. Anything I needed she helped me with. With her and Patrick’s work they truly helped to make my wedding design amazing and very me! 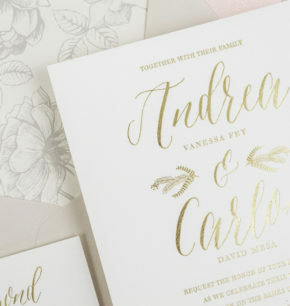 A&P Designs did such a great job with my Wedding Invitations! They were speedy with communication and flexible with meeting dates. Everyone commented on how beautiful my invitations were! I don't even know where to begin....Alicia, owner of A + P Designs, is AMAZING!! She is one of the most talented people I have ever worked with in terms of taking my idea and perfecting it. 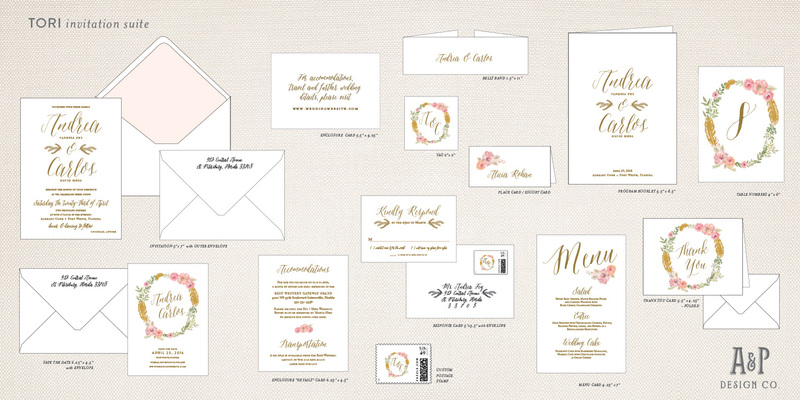 Alicia with AP Designs did all of my printed work for my wedding from the invitations to the programs and welcome bag inserts. The work was beautiful. Alicia helped with design work and was very flexible and accommodating. 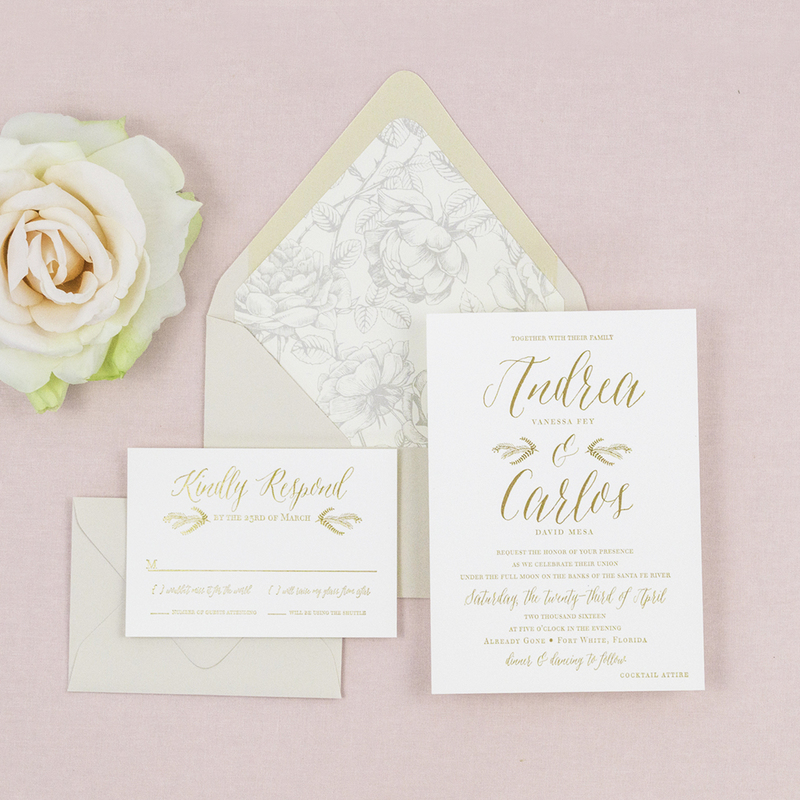 My guests were raving over the invitation suite. I loved every piece! 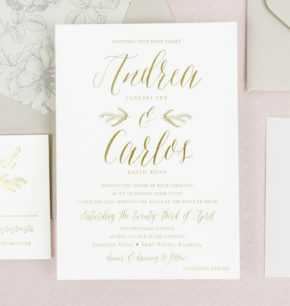 I LOVED how gorgeous my invitations turned out, and I actually ordered matching Thank Yous and ceremony programs from Alicia as well! I cannot say enough good things about A&P, and I would recommend them to anyone in the country! 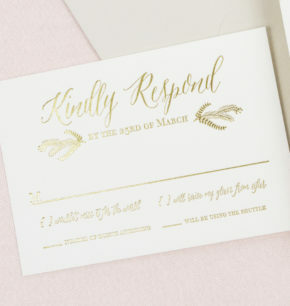 I had been wanting an affordable letterpress option and spent months searching for the perfect invitations and found them here! 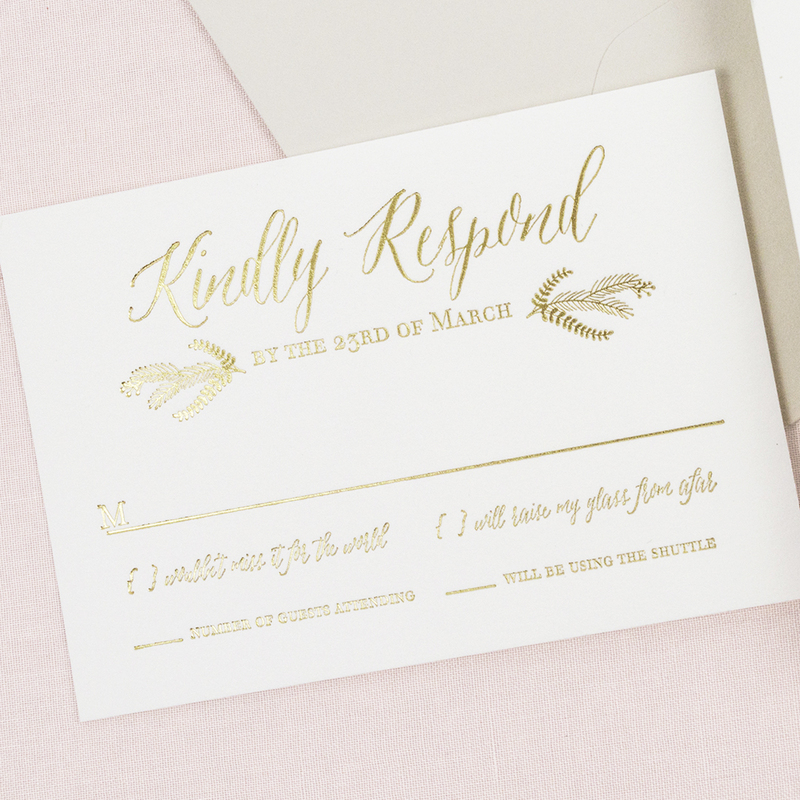 I was not expecting the amount of back and forth communication it would take to create the invitations but Alicia always answered promptly. She was so accommodating and was able to produce exactly what we were looking for!